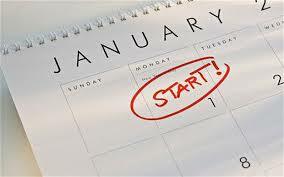 With the new year comes new possibilities, and most of us like to put a resolution in place. While you might not stick to your January gym membership or finally get that novel written, committing yourself to a financial resolution is an excellent way to start 2019. Improving a financial situation has proven to be a high priority for the British public as we turn the first page on a new calendar. In fact, the average adult will commit £4,600 on financial resolutions; this includes goals like paying off a debt or moving house. For those under the age of 25, 11% of people aim to clear their debts in the new year, and for the over 55s that figure increases to 15%. Even with the best intentions, however, it can be tough to see resolutions bear fruit. Luckily, there are a few steps you can take to give yourself the best chance. 1. Look before you leap! It can be tempting to jump into the new year with big plans for the future, but if you’re not looking at where you’re coming from, you may not be giving those plans the preparation they need to flourish. Review your spending for 2018, collect your bank statements, bills and receipts and look out for areas of excessive or unnecessary expenditure. Once you’ve identified any pitfalls, they’ll be much easier to avoid in the year ahead. Once you’ve got a good grasp of how the past year has been for your finances, you’ll have an understanding of where you are currently. There may be actions you can take immediately to better your situation. For example, review any subscriptions or direct debits that you now deem unnecessary. Sell any unnecessary items to create an income without any serious lifestyle changes. Consolidate debts with balance transfer cards, to make payments more manageable and to potentially lower your interest rate. Simplifying and strengthening your financial situation at the start of the year will give you greater control over the coming months. 3. Set goals and be reasonable! There’s no point in setting a goal that is unachievable, only to disappoint yourself when you inevitably fail to meet it. With a solid understanding of your recent financial habits and your current position, set yourself an achievable plan for the year ahead. Be specific and make it measurable! Rather than pledging to eradicate all of your debt, identify a portion that you’re confident you can clear, and set yourself benchmarks to help track your progress. It’s all well and good having a plan but you’ve got to stick to it. A well constructed budget can be just the thing to keep you on the straight and narrow. Gather information about your income and outgoings and regulate your spending. For example, it can be very tempting to treat yourself when you receive some unexpected income but don’t ignore the opportunity to bump up your savings. Perhaps consider splitting that extra money between debt repayments and future savings, and if there’s any left over then go for that posh meal. The key is to keep up to date, and revise your savings goals and budget plans as you go so that you’re prepared for whatever the year may bring! With the right preparation and planning, 2019 can be a great step forward for your finances – take on the challenge and have a happy new year! How can millennials get on the property ladder?